- Ducati’s best result in the United States is Casey Stoner’s victory in 2007 at Laguna Seca, a race in which he started from pole position, led from start to finish and set the fastest lap. - Andrea Dovizioso's second position in 2015 is Ducati’s best result at the Austin circuit (COTA). Andrea also stood on the podium in 2014 in third. - One of the most spectacular overtaking moves ever seen at COTA was Dovizioso’s pass on Valentino Rossi in 2015, which earned him second place. Andrea was on the outside of turn 2, a right-hander, and at the point of direction change for turn 3, a left-hander, he snuck past on the inside with an impeccable pass. - Dovizioso finished third in 2014 and second in 2015. In 2016, while fighting for the top positions, he ended up on the ground when Pedrosa’s bike hit him in turn 1, thus taking out the Ducati rider. - Jorge Lorenzo’s Desmosedici last year clocked in at 345.60 km/h, the highest speed reached in the race. In 2016, it was Dovizioso’s Ducati that recorded the highest top speed in the GP. 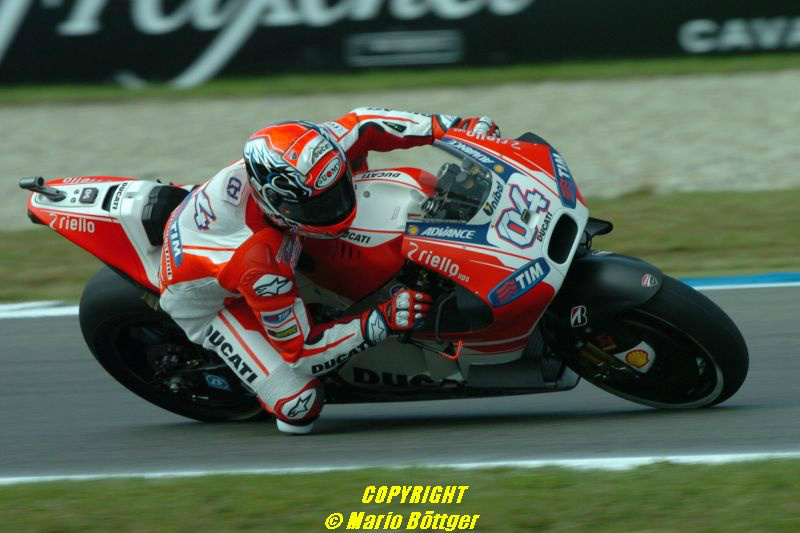 - Dovizioso arrives in Austin second in the overall championship standings, just 3 points behind the leader. - Stoner was second in the 2008 US Grand Prix, despite a crash with 9 laps remaining. - Ducati has scored three podiums at COTA: in 2014, 2015 and 2016. - Jorge Lorenzo has won twice in the United States. In 2009, when the race was at the Indianapolis circuit, and in 2010, at the spectacular Laguna Seca circuit. - The second position achieved in 2016 is Lorenzo’s best result at COTA. - 30 GPs have been held in the United States. 2 at Daytona, 15 at Laguna Seca, 8 in Indianapolis and 5 at COTA. - In 2013, there were three races held in the United States: in Austin, Laguna Seca and in Indianapolis. - Crutchlow is the provisional leader in the championship. It is the first time that a non-factory rider has led the provisional MotoGP championship, since Gibernau in 2005. - A British rider has not led the World Championship since Barry Sheene in 1979. - In 2015 the MotoGP practice sessions were stopped for 20 minutes, due to the unusual occurrence of a dog entering the track and creating a dangerous situation for the riders. - In 2015 the start was delayed by a puddle that formed in turn 3, due to the water that fell from a bridge that crosses the track in that zone. The rainwater had accumulated during the morning along the bridge, and before the MotoGP race, all the liquid fell at once onto the track. To dry that corner in the shortest time possible, they brought in a number of leaf blowers.